Citizens Advice opened on Westgate in Ripon in 1967. 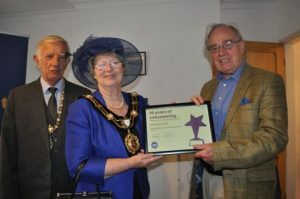 We celebrated 50 years of advising in the area with an open day in September that was attended by the public and the Mayor. Since 1967 we have operated from a variety of sites around Ripon, including the Work House and two residencies at Duck Hill. We merged with Craven and Harrogate Citizens Advice in 2014. Continued financial uncertainty casts considerable pressure on the future of the service in Ripon. We had to stop our extended service in Boroughbridge but have maintained our sessions in Masham; both of these were first started in 1989. Our group of skilled volunteers have remained dedicated to the provision of an advice service for the community. We are very happy to have a settled base again at 5 Duck Hill since June 2017. 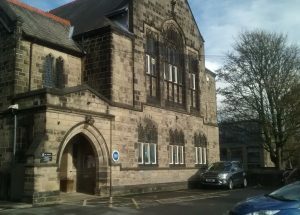 Skipton had a Citizens’ Advice Bureau for seven years in the 1940s, helping residents with new war-time rules and regulations. Our current incarnation began in the early 1970s, initially as Skipton and District CAB. At that time the bureau was based in Skipton bus station, and also operated out of the Town Hall in Settle. By 1979 we had 9 volunteers, overseen by an “organiser” and a “deputy organiser”. We moved from the bus station to an office in Thanet’s Yard, and between 1990 and 2019 we were in St Andrews Church Hall. We are now based in the Council building on Belle Vue Square. Over the years the range of topics we deal with has changed immensely, with debt advice coming to the fore, only to be overtaken in more recent years by the ever-changing field of welfare benefits. The way we work has also changed, with advice now given by phone and email as well as face to face. In the year 2000 Craven was one of the first Citizens Advice offices in the country to receive a fully-networked computer system. However, our essential work remains in the hands of our team of dedicated volunteers, overseen by a small paid staff.